A Summer Bouquet of gorgeous mums and daisies being admired by cute little birds. 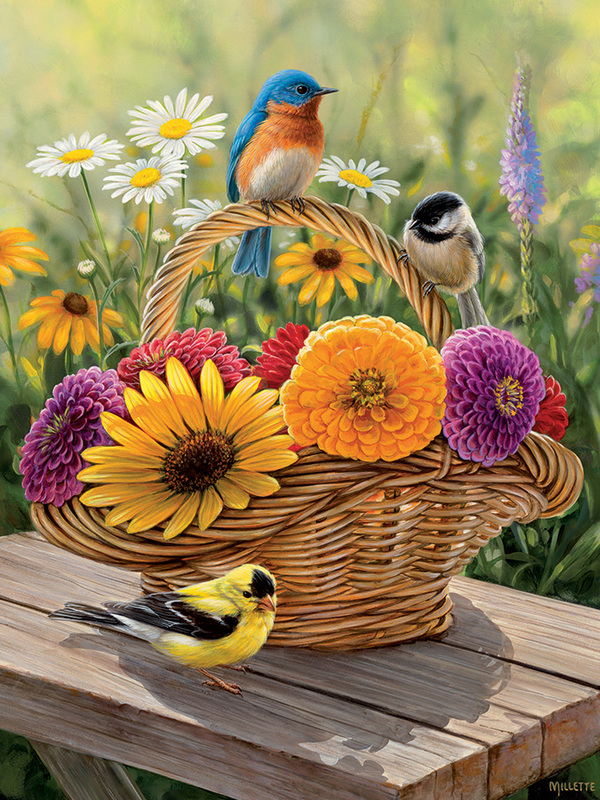 This has to be the loveliest basket of flowers and birds in beautiful summer colours! To compare actual piece sizes, please click here. Item # 88012 Weight 1.46 lbs.